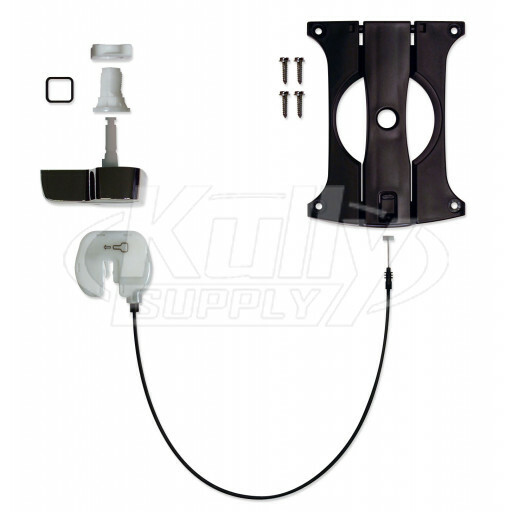 This Flushmate 503 Series Handle Replacement Kit includes everything you need to replace your old “handle and rod kit” style handle. 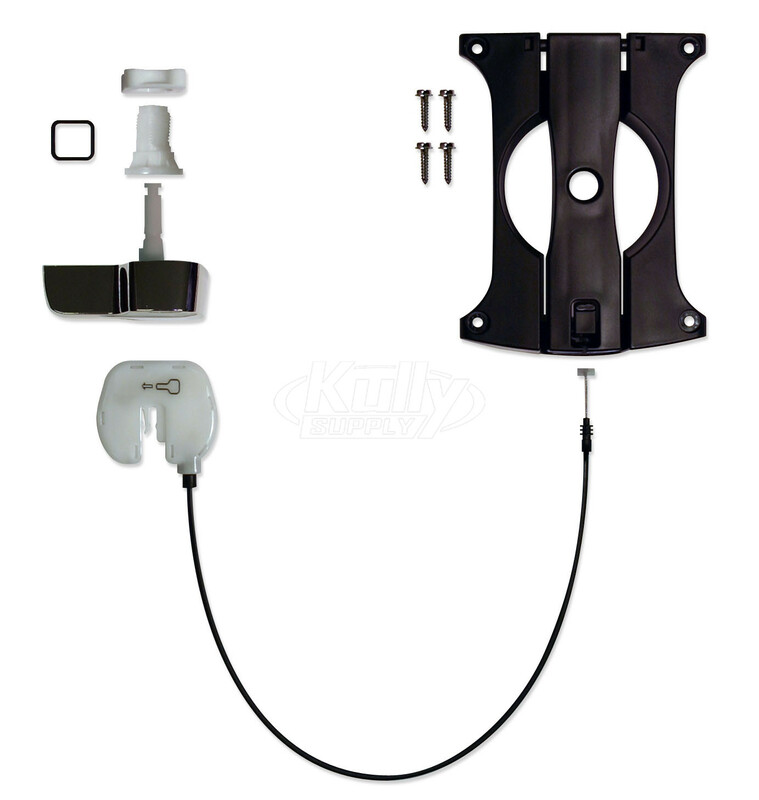 The new universal-cable design allows for mounting on either left-handle or right-handle toilets. 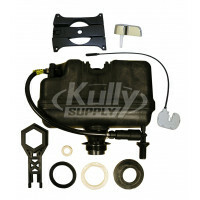 This kit is designed for ALL 503 Series Flushmate toilets. Prior to Installation: Remove the existing handle and note its orientation. The new handle should be installed facing the same direction. If you have a flush rod, clips, and screws, remove them before you start. 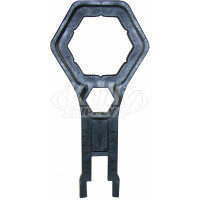 Remove the Handle Nut using a pliers. The nut has a left-hand thread (clockwise to loosen and counter-clockwise to tighten). Remove the handle by guiding it through the opening of the toilet tank. Place the black spacer and bushing into the hole of the toilet tank. If the black spacer is too big for the hole, remove and re-insert the bushing without the spacer. 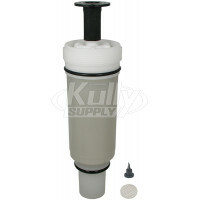 On the inside of the toilet tank, hand-tighten the handle nut snug around the bushing by turning counter-clockwise. Orient new handle in the same direction as the original handle. 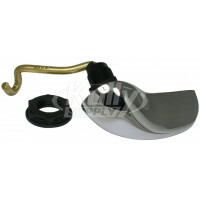 Insert into place until the stem of the handle extends past the bushing or until you hear/feel it click into place. Gently remove the disposable cap from the barrel end of the cable. Discard the cap. Lift the lever and push the barrel end of the cable up through hole on underside of the black plastic frame until it clicks into place. Guide the cable end into the lever slot. Raise the lever to seat the white barrel into catch until it clicks. Position the frame and lever with the cable facing the front of the toilet tank and secure with the 4 screws (rest the white cassette on the side of the tank). The toilet may begin to flush and run while you tighten screws and secure frame. Match the handle icon on the white cassette to the direction of the toilet handle and lift handle to horizontal position. Maintain alignment of the cassette, and guide it down over the protruding handle stem until it clicks into place. Gently push the handle to test movement. If the handle doesn’t move properly, revisit the part orientation. Once properly aligned, hold the actuator in place and tighten set screw to secure. Place toilet lid back onto the toilet tank. Sloan FLUSHMATE® is a division of Sloan Valve Company. 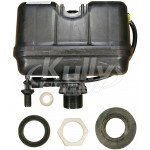 FLUSHMATE manufacturers high-performance, water saving pressure-assisted toilet flush systems. Those systems are then installed in toilets manufactured by OEM brands such as Gerber, Mansfield, American-Standard, and Crane. You can also visit Flushmate’s website directly for Product Registration, to view Warranty Info, to view Recall Info, or Contact Flushmate. Q: Will ap300503 flush cable work on my 501 series? 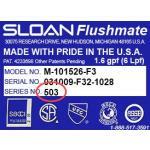 No, this Sloan Flushmate AP300503 Handle Replacement Kit for 503 series (Part #162836) will only work on 503 Series Flushmate Tanks and will not work on a 501 Series Flushmate Tank. We recommend calling our Flushmate Experts for available Handle and Rod Kit options for your toilet. Q: Will this handle work with: Model # M-101526-F3 Serial # 021704-F3M-1026 Series # 503 Thank you! Yes, this Sloan Flushmate AP300503 Handle Replacement Kit for 503 series (Part #162836) will work on your Flushmate Tank. 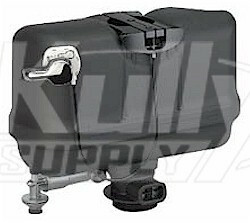 This handle kit fits all Flushmate 503 Series Tanks. Q: The flush frame is cracked where the flex wire enters the frame. The crack does not permit the flex wire to stay rigid so it will flush. Will glue be enough to fix it or is the frame available separately? 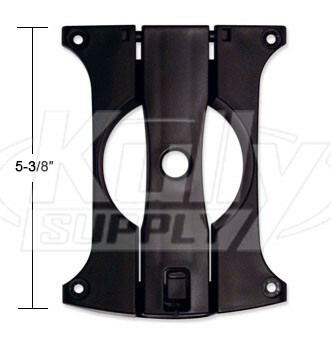 If the black plastic frame on this Sloan Flushmate AP300503 Handle Replacement Kit for 503 series (Part #162836) has cracked, we recommend replacing the complete handle assembly. The glue may be a temporary fix until your new part arrives. The black frame is not sold separately.